A regular teeth cleaning routine is essential for good dental health. 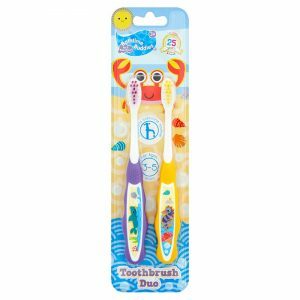 The Bathtime Buddies toothbrush has an easy grip handle and soft bristles, perfect for those little hands and mouths. 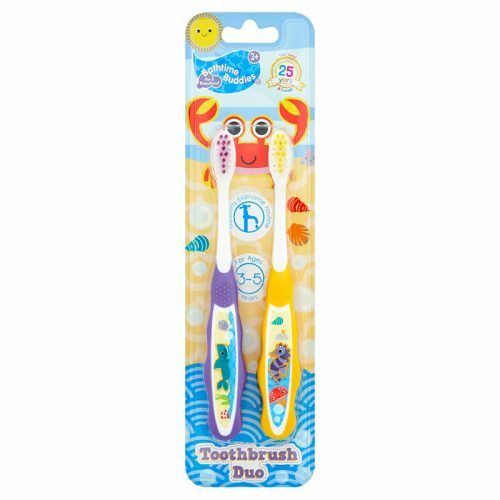 Encourage them to spit out excess toothpaste, but not to rinse with lots of water.